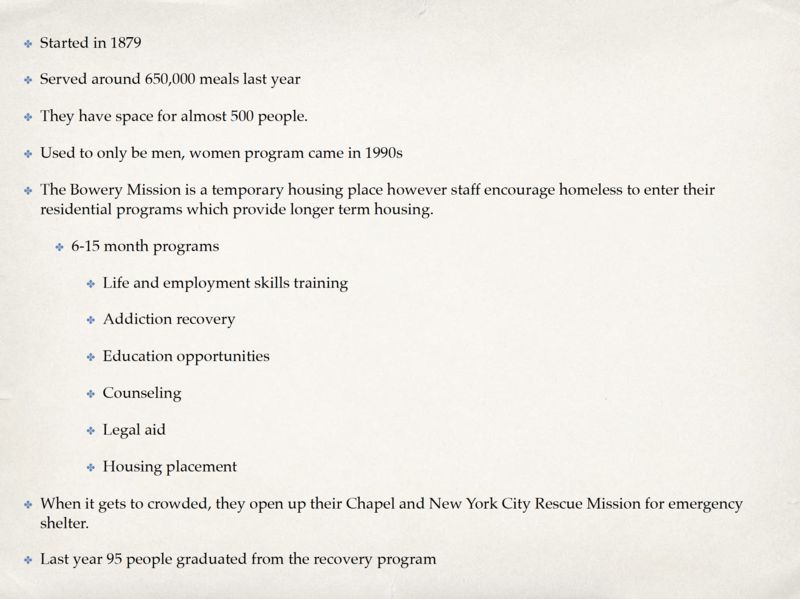 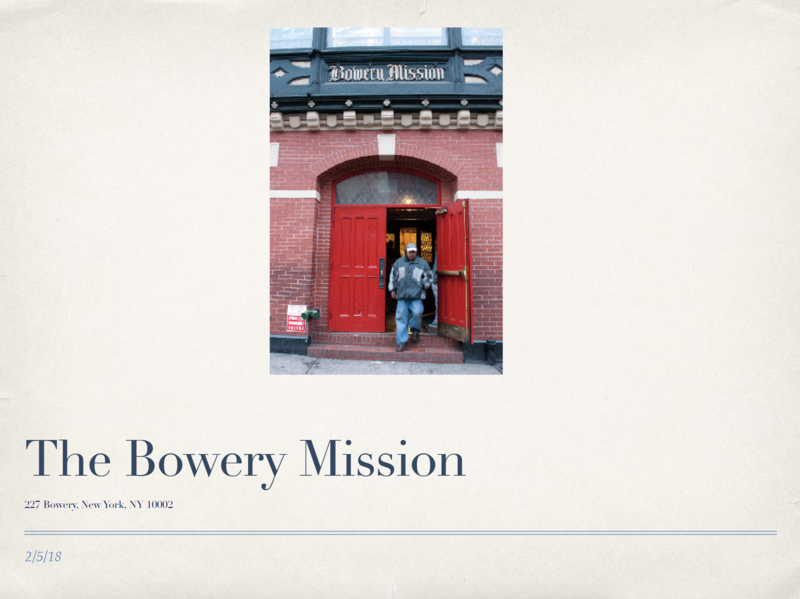 I visited the Bowery Mission to collect information. 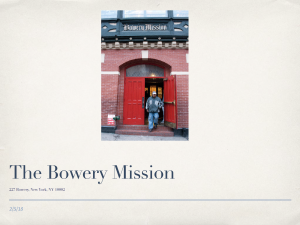 I prepared a presentation with my findings. 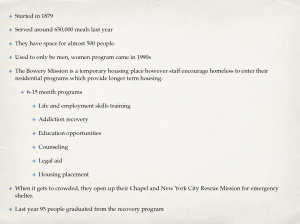 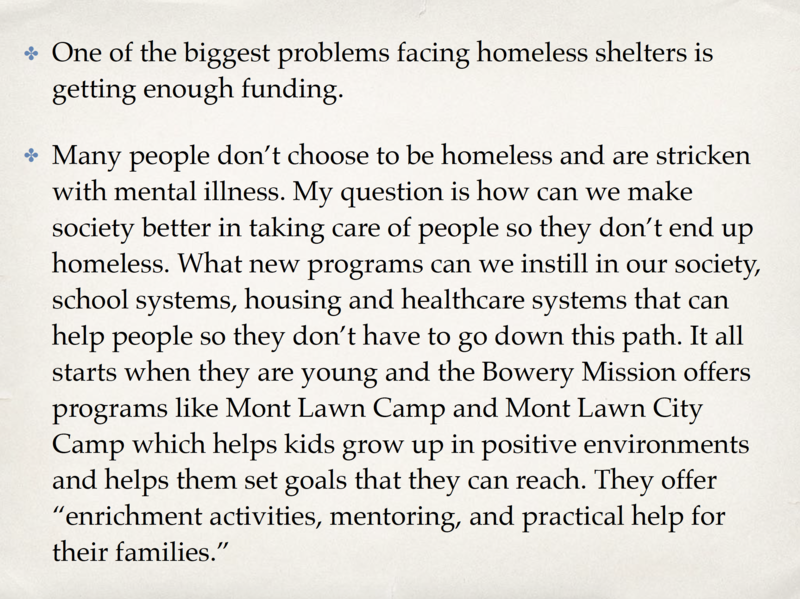 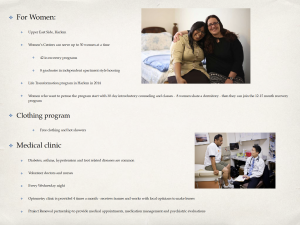 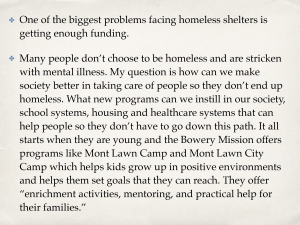 I started with some basic facts like when the organization was started, about how many meals they served last year, how much space they have for people to stay, etc. 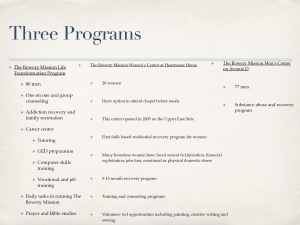 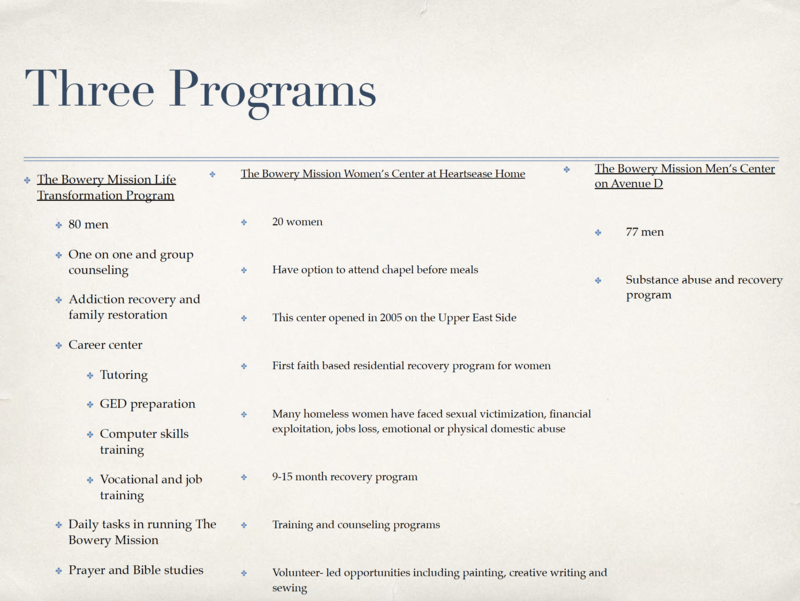 I proceeded to do more thorough research about the programs they offer.